At Sterling College we prepare students for careers that are in-demand, through cutting edge programs that are taught by industry professionals. Both our Creative Technology and Nursing programs are innovative and engaging, offering the most well-rounded and relevant education possible. We help students realize their greatest potential through applied education and industry recognized qualifications. 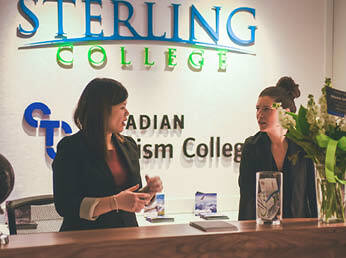 With two Sterling College campuses in British Columbia, you can be sure to find one that is convenient for you. The Vancouver location is situated in the heart of downtown, easily accessible by transit and close to beautiful Vancouver Convention Centre on the waterfront. The Surrey campus is also close to transit and central to shopping and parks. You will find sightseeing attractions, restaurants, and shops close to both of our great locations! Our Nursing programs include the Post Graduate Certificate in Nursing Practice and Post Graduate Certificate in Nursing Practice with Co-op. We provide students with the training they need to complete and pass the examinations required to become a certified Registered Nurse (RN) in Canada. Our Business programs include the Business Administration Diploma, Procurement and Supply Chain Management Postgraduate Certificate, and Business Management Postgraduate Certificate. Each of these programs are offered with a co-op option so that students may gain paid work experience in their field of study. Sterling College is working alongside industry to launch our Diploma in Creative Technologies. 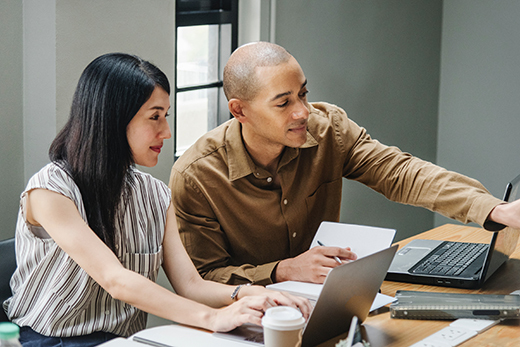 Beginning with fundamental design theory, students can build advanced skills by specializing in Industrial Design, Graphic Design or Interactive Media and Technology. If you are looking for creative technology programs and graphic design programs in Vancouver. We’ve got a place for you. All of our staff have extensive industry experience. Our graduates get great jobs in the industry. Cutting Edge programs designed by Industry Professionals and recognized by the industry. We are dedicated to providing training that surpasses the needs of the industry. Our programs are innovative and engaging, offering you the most well-rounded and relevant education possible. We believe that the best education is achieved when you feel welcome. With campuses in downtown Vancouver and Surrey we make getting an education accessible.